The meeting of State Level Single Window Clearance & Monitoring Authority (SLSWC&MA) was held today, which was presided by the Chief Minister Virbhadra Singh. The SLSWC Authority approved four expansion and revised proposals of the existing units with combined proposed investment of Rs. 78.42 crore. This would provide employment to 433 persons. These include proposals of M/S Johnson & Johnsons Ltd. to invest Rs. 36.63 crores with employment potential to 143 persons, M/S Triupati Medicare Ltd. to invest Rs. 30.83 crore with employment potential to 118 persons and M/S Shri Parvati Steel & Allays Ltd. to invest Rs. 10.10 crore with employment potential to 162 persons. Besides, relocation of M/S Newport Sprits Pvt. Ltd. from village Bajhoul district Solan to Baddi Industrial area of Solan district was also approved. This project would be set up with the cost of Rs. 86 lakh having employment potential of 10 persons. 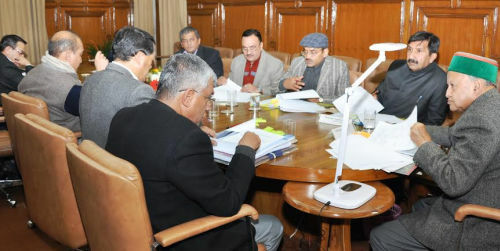 Chief Minister while reviewing the expansion proposal of M/S Jaypee Himachal Cement Plant Unit-I of village Baga in Solan district for enhancement of Clinkerization capacity from 2.05 MTPA to 3.50 MTPA, directed the concerned department to check the production, capacity and other details. 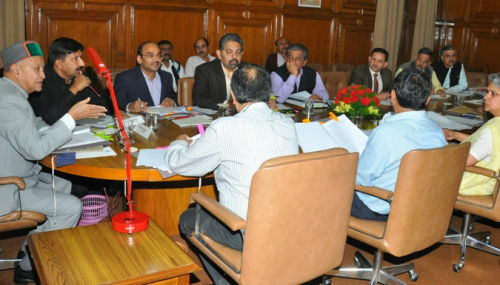 Industries Minister Mukesh Agnihotri asked the concerned departments to provide all clearances to the entrepreneurs to set up their units within a stipulated time. He said that State Government had taken various steps to facilitate and encourage entrepreneurs to set up their industries in the State. Director Industries Mohan Chauhan welcomed the Chief Minister and detailed about the various initiatives being taken by the department to promote industries in the State. Chief Secretary Sudripta Roy, Principal Secretary Labour & Employment Upma Chaudhary, Principal Secretary to Chief Minister V.C. Pharka, Principal Secretary Revenue Tarun Shridhar, Principal Secretary Finance Dr. Shrikant Baldi, Principal Secretary MPP & Power S.K.B.S. Negi, Principal Secretary Industries R.D. Dhiman, Engineer in Chief IPH R.K. Sharma, Member Secretary HP State Pollution Control Board Vineet Kumar and Industries Advisor Rajinder Chauhan were present among others in the meeting.